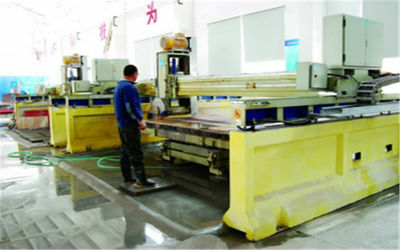 With more than 20 years’ experience on designing and manufacturing honeycomb and metal product, Pasia Honeycomb Products Co. Ltd is versatile on supplying diversified honeycomb and sandwich products to clients of various industries including construction, transportation, marine, industrial equipment, decoration and so on. Honeycomb panels are applied and being applied in numerous fields, based on the best strength and weight ratio, extreme condition resistance such as high or low temperatures, humid or watery condition and so on, A+ fire rating, high tolerance on size, etc. Pasia has put into significant capital on equipment investment to secure first class product fabrication. Until now, Pasia has already possessed the most advanced bending machine, panel shearing machine, digital controlled turret punch press, completely automatically controlled continuous paint coating production line and so on. 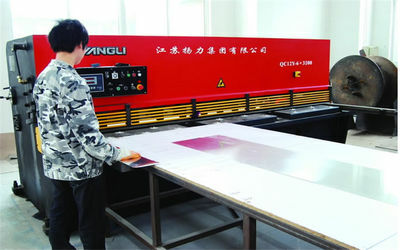 It can not only mass produce flat panels, but also produce single curved, twist and all shapes of customized honeycomb panel. 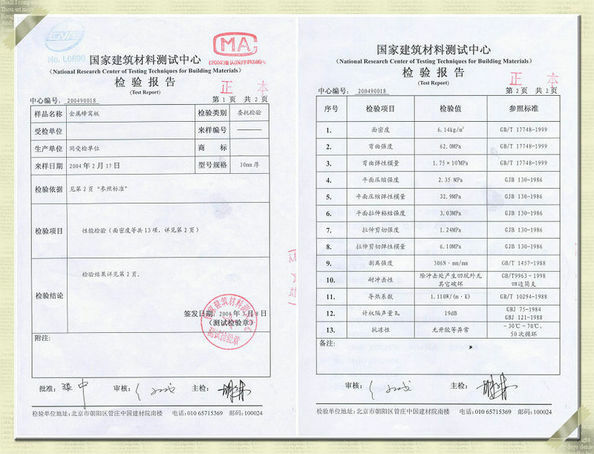 The production management is under ISO9001:2008 quality management system. 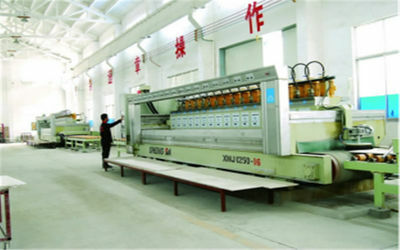 Quality products have won good reputation in market with repeated orders from our customers. We have exported our products to Germany, Brazil, Mexico, Colombia, Korea, Singapore, Indonesia, Malaysia, Middle East, Uzbekistan, Russia, Ukraine, Australia, Algeria, etc. Large scale production, effective quality control system, complete local industry support and advanced cost control plan make Pasia capable of providing top-quality structural panels in wide variety of styles, designs and materials at competitive pricing. 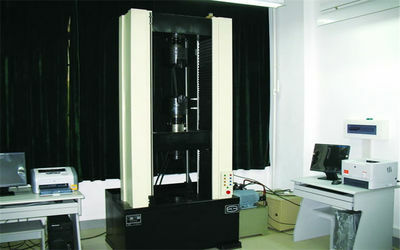 The company is now performing as a fast developing manufacturer on R&D, designing, manufacturing and sales of honeycomb products including aluminum or stainless steel, paper, Aramid, PP plastic honeycomb core and their panels, stone honeycomb panels, innovation honeycomb products, customized honeycomb products including section inserted, painted, powder coated, oversized, special shape panels, parts based on CAD drawing and so on. Please contact with us if there is any queries on product, process, property and so on. We will try our every best to deliver our quality goods and services of your expection or beyond your expectation. Acquired two hectares’ new land for integrating two plants and opening up two more production lines for the stone honeycomb panels. Depending on the domestic market, mobilize the marketing force into international market. Established strategic cooperation relationship with the major customers. The aluminum honeycomb panel including core have been sold to USA, Australia, Brazil, South Korea, Japan, Singapore, Middle East, Western Europe, Russia etc. Developed more products based on nomex honeycomb core sandwiched panel. 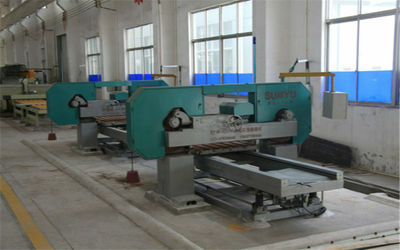 Four more granite slicing equipments and two marble slicing equipments were introduced. 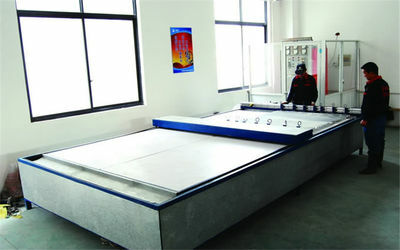 Powder coating production line passed the plant inspection by a major customer. With complete facilities support, Pasia has been able to supply jointed products in aluminum honeycomb panel. Enter into the nomex honeycomb core sandwiched carbon fiber panel and their parts industry. The first product of carbon fiber nomex honeycomb panel parts were successfully used by the UAV project in France. Domestic and International sales value increased this year. The production site for the stone honeycomb panel has been enlarged. 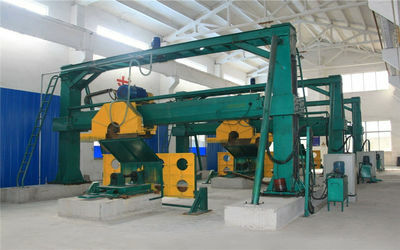 Three more production lines for the stone honeycomb panel were introduced. Finished 30,000 m2 of stone honeycomb panel and 100, 000 m2 aluminum honeycomb panel sales volume. Successfully completed several cladding projects with stone honeycomb panel and aluminum honeycomb panel in China. Aluminum Honeycomb Panel is widely used for the customers as cladding material. Pasia successfully processed a shareholding reform and introduced two strategic shareholders. Pasia Fiber and Composite Co., Ltd has been focusing on the international market. Pasia Industries Ltd launched a new plant for the stone honeycomb panel and aluminum honeycomb panel. Joined several domestic and international building materials’ exhibition including JEC in France. 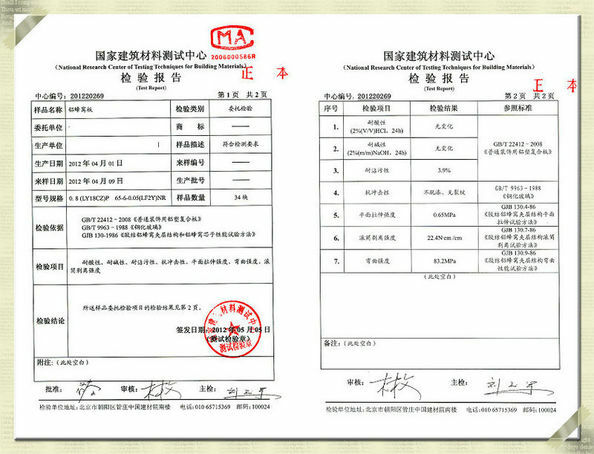 Two samples of stone honeycomb panel passed the testing conducted by National Building Materials Inspection Center. 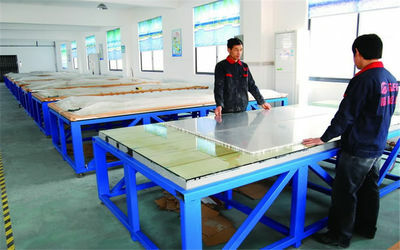 The first order for the stone honeycomb panel is placed by ShanXi Government. Aluminum Honeycomb Panel products entered into international market including a train floor aluminum honeycomb panel for Australian market. Pasia Fiber and Composite Co. Ltd was incorporated focusing on the Aluminum Honeycomb Core R&D and Manufacturing. From Building the plant, introduced a full range of the production facilities and trial production, it took Pasia only 8 months. · Based on customer’s sample, make the final goods realized. · Based on the customer’s requirement on quality, figure out the most competitive cost production plan. · Based on customers’ price budget, optimize the material and production process. · Quality warranty time up to 35 years upon customer’s requirement and real material and process. · Responding time: upon receiving user’s notification, we ensure 24-hour after-sales technical support. The management of Pasia is comprised of the members with more than 10 years related professional experience on the industries metal, stone or their products fabrication. Pasia possesses a professional R&D, quality control and inspection team to develop innovative products according to customers’ requirements and secure production quality. The sales team can make sure that pre-sales communication effectively, commercial process smoothly and after sales trusted.